… usability cannot be designed for without understanding the social and physical mechanics of the context for a real-life user. Your software, your product, is nothing more than a collection of tiny details. If you don’t obsess over all those details, if you think it’s OK to concentrate on the “important” parts and continue to ignore the other umpteen dozen tiny little ways your product annoys the people who use it on a daily basis – you’re not creating great software. Someone else is. I hope for your sake they aren’t your competitor. “It’s not just coming up with creative ideas and innovative ideas but being able to explain why those are the right ideas for our clients,” Marshall says. To that end, Map works incredibly closely with its clients throughout the entire process. Map doesn’t operate in the typical client-agency model of spending weeks holed up with no communication, then making a splashy presentation a la Mad Men. Rather, it hosts workshops, asks its clients to come to the studio, and often goes to the client’s office (if its a big brand). Map frequently works with in-house design teams and other designers, which Marshall says can lead to some friction since so many people are involved. From my personal experiences, I’ve seen enterprise software end-users during usability and prototype tests noticeably come alive not only with interest and appreciation, but ideas. 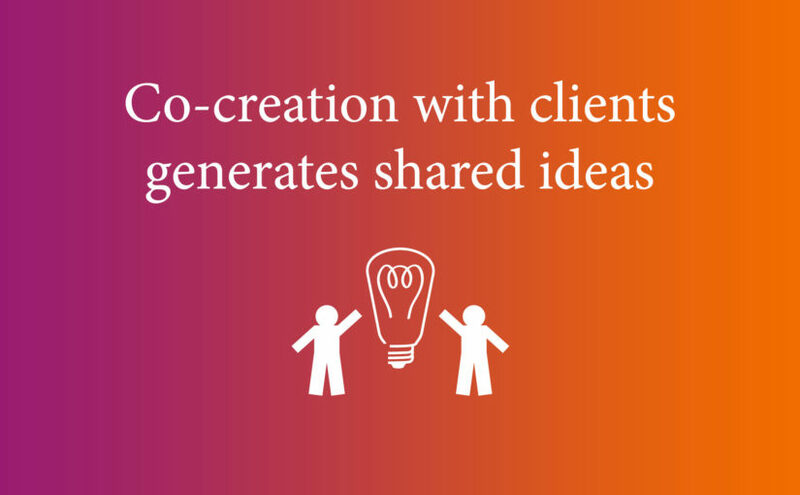 Despite the fact that I haven’t engaged clients to the level that this article describes Map as doing, I believe that co-creating with clients makes so much sense. I can imagine that these sessions make the agency/vendor more enlightened to root problems and therefore more equipped to create. This looks to be yet another reason why there’s great benefit to engaging clients early in the processes of problem-solving. 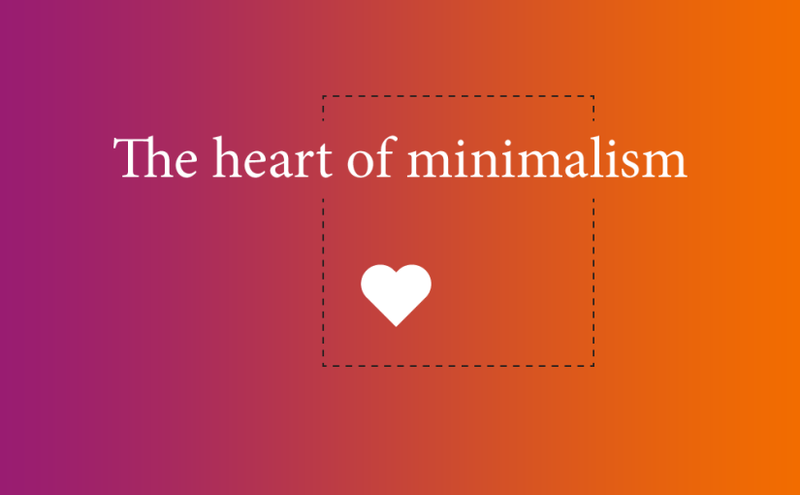 Minimalism removes the meaningless to make room for the meaningful. What does this mean for a web/mobile app? For a website? I’d argue that a site or app isn’t “minimalist” or “simple” merely because it’s all white. Or just doesn’t have a lot of things on it*. Perhaps something is simple simply because it is continually and consistently meaningful; devoid of additional fluff. It has exactly what it needs, and that’s all. And what it needs is meaningful. Important. In Spool’s article, the biggest takeaway for me is this: expose as much of my team as possible to first-person user research. As I lead research, I must continue to create ways to bring along developers and QA, in addition to product managers. As we’ve been researching what design teams need to do to create great user experiences, we’ve stumbled across an interesting finding. 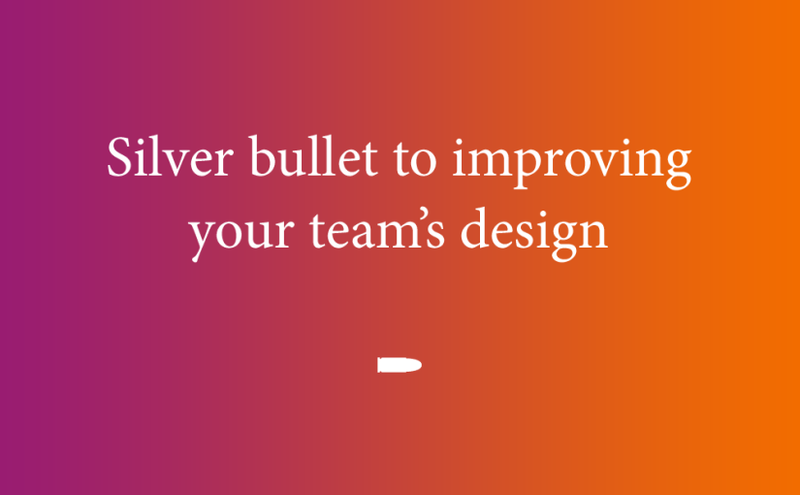 It’s the closest thing we’ve found to a silver bullet when it comes to reliably improving the designs teams produce. This solution is so simple that we didn’t believe it at first. After all, if it was this easy, why isn’t everyone already doing it? The solution? Exposure hours. The number of hours each team member is exposed directly to real users interacting with the team’s designs or the team’s competitor’s designs. There is a direct correlation between this exposure and the improvements we see in the designs that team produces.